Released 15 studio albums, three of which went platinum? Had 23 Top-Forty R&B songs? Generated 15 Top-Ten R&B hits? Name is actually an acronym for the Greenwood, Archer & Pine Street Band? Not bad for a group started by three bothers (Charlie, Ronnie and Robert) from Tulsa, Oklahoma. That’s right…TULSA! Who knew?! But what got me to thinkin’ about the Gap Band tonight was that doggone Charlie Wilson! Driving home today, I heard that he’s doing the New Year’s Eve show in Atlanta. 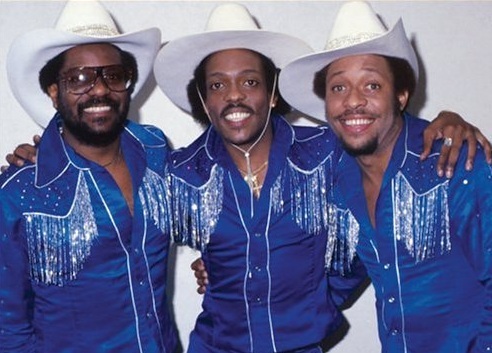 I’ll tell you what…”Uncle Charlie” seems to be enjoying equal, if not greater success without the ‘gap’ [band]. Isn’t it fascinating how Charlie has managed to reinvent himself through a solo career and a string of hit singles, albums and constant touring each year? Think about it–he’s been going strong like this since 2005. At 59, Charlie Wilson is schoolin’ today’s young cats about showmanship and the importance of being an entertainer which explains the legions of die-hard fans he’s created across the globe. Y’all can’t deny it–Charlie Wilson still got IT and has stayed true to real R&B. Go ahead and pull out your favorite Gap Band (and Charlie Wilson) hits and enjoy!